YES! THE FREE Q5 TACLITE™ IS STILL AVAILABLE! Enter your email below and press continue to secure your FREE Q5 TACLITE™! 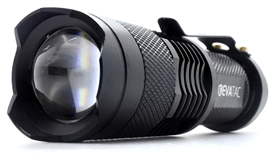 The Perfect "Everyday" Tactical Flashlight Is Now Yours For Free! Fast shipping from Denver, USA! Plus free unrestricted access to the VIP Survival Academy! 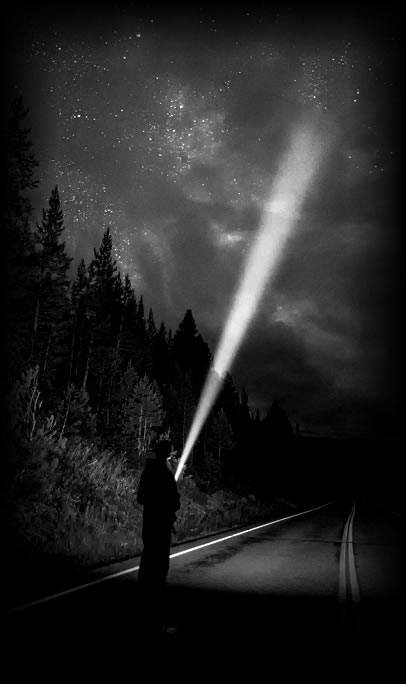 *Free Tactical Flashlight offer may end at any time, just pay shipping. If you're going to carry any item, it needs to be a flashlight. But you can't just carry around any old flashlight and expect it to do the job! Your EDC flashlight needs to be small enough to fit in your pocket, ultra bright, use standard batteries and it should be tough enough to last a lifetime of abuse. Because the Q5 TACLITE™ is built by EVATAC™ you can rest assured that your getting the best, that your getting a product that has been tested and proven itself time and time again. 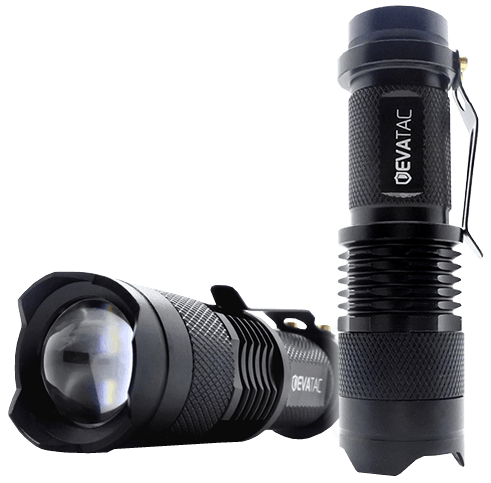 Plus, when you get your free Q5 TACLITE™ today, you're not just getting a high quality flashlight. You're getting a state of the art survival tool that can double as a self-defense weapon that may just save your life one day. Thugs don't believe in a fair fight and neither should you! The TACLITE™ design includes sharp beveled edges that can drop any attacker like a sac of potatoes. Also, if you carry a firearm, because of the compact design this flashlight can be used as attachment when using a mount. If you want a Q5 TACLITE™ by EVATAC™ you've got to jump on this offer fast and get your right now because we only have 500 of these to give away! So check availability now to claim yours! To be frank with you, it's a bribe. We're giving away the Q5 TACLITE™ as part of our National Survival Awareness Campaign. Our goal is to educate and inform American families and provide them with the tactics to survive natural disasters and terrorist attacks plus improve self defense and wilderness skills. That's why when you claim your free Tactical flashlight today you also get totally free access to VIP Survival Academy! You will get our top of the line monthly newsletter (pictured above), you get access to exclusive survival and defense content, you get access to our huge vault of defense, out-door survival, and self-reliant books and videos! On top of that, we've teamed up with Ape Survival to give you 50% off their entire product range for life! Ape Survival will be your #1 go to store for products like backpacks, knives, all your camping gear and various gun related products like laser sights, red dot sight, rifle rests and much more! It's one heck of a deal, but it can't last forever! So make sure you claim your free flashlight right now so you can get the huge benefits of VIP Survival Academy! Offer terms: Your item(s) will be shipped right to your address immediately after purchase. You’ll also get unlimited access to the VIP Survival Academy for for a full 14 days. Your member login will be sent to your email immediately after you register your account and you can instantly access all of the top quality survival content listed above. You can also begin using your VIP coupon code at the Ape Survival store instantly after you claim your free Taclite. After 14 days of your VIP Survival Academy membership will automatically activate giving you lifetime access for the 1 time payment of just $49.95. If you have any problems logging in or accessing your materials, contact us directly here: contact@vipsurvivalacademy.com or call our friendly customer service team at 208-501-2971 (10AM to 7PM EST).